As you can tell, we are still in Albuquerque…waiting on a part for our trailer…from what I can see, our order got canceled. yeah….I said canceled. And her excuse was that it was all done through email so she’s not sure what happened…..well how in the heck can a cancellation happen unless someone pushes the send button?? So in the meantime, we are stuck in the ABQ for going on 4 weeks now….this really gets me riled up (if you can’t tell by now). I think we should get a discount…. But the time has come, the Walrus said, to talk of other things….like food! And man does this place have character! It’s small….like maybe can seat two dozen people small…and when you walk in, the first thing you notice are all the pictures on the wall. 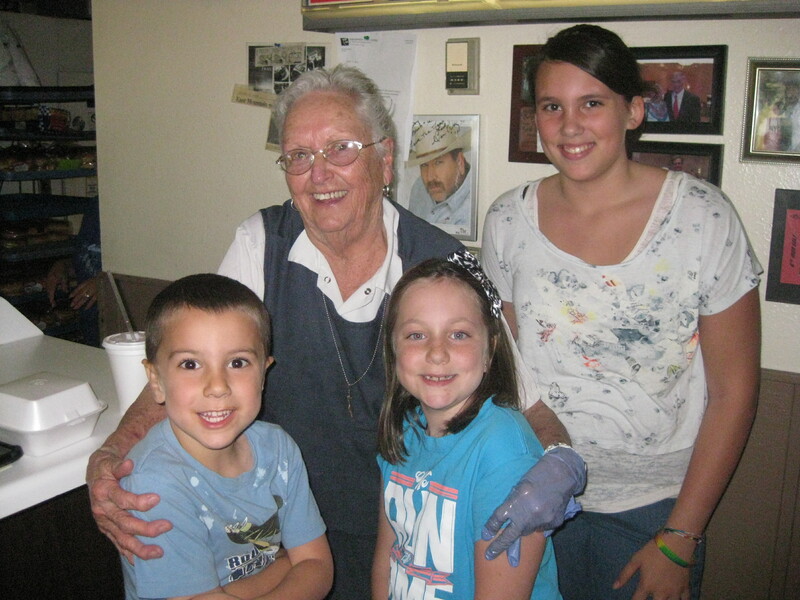 And I don’t mean the wall of fame that most diners have….this is obviously a family wall with pictures of all sorts of people, big and small, of those who are important to the family that owns Burger Boy. 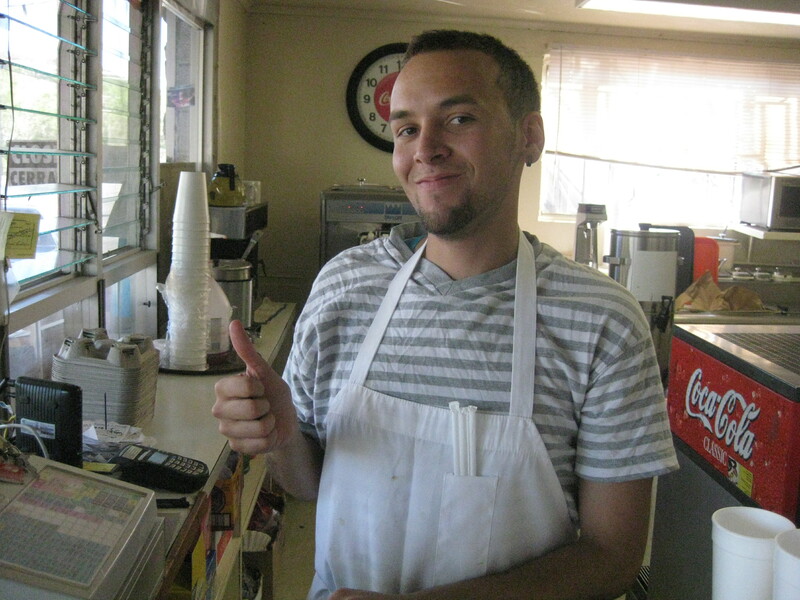 This is Jordan Walz, grandson of the owners of this warm and welcoming family establishment. He shared with us the story of his family and how his grandparents, Bill and Kathy Cushing, bought this place in the early 80’s to enable them to spend more time together. Sadly, Bill passed away about 11 years ago, but this place is steeped in family and a love of food that shines the minute you walk through the doors. 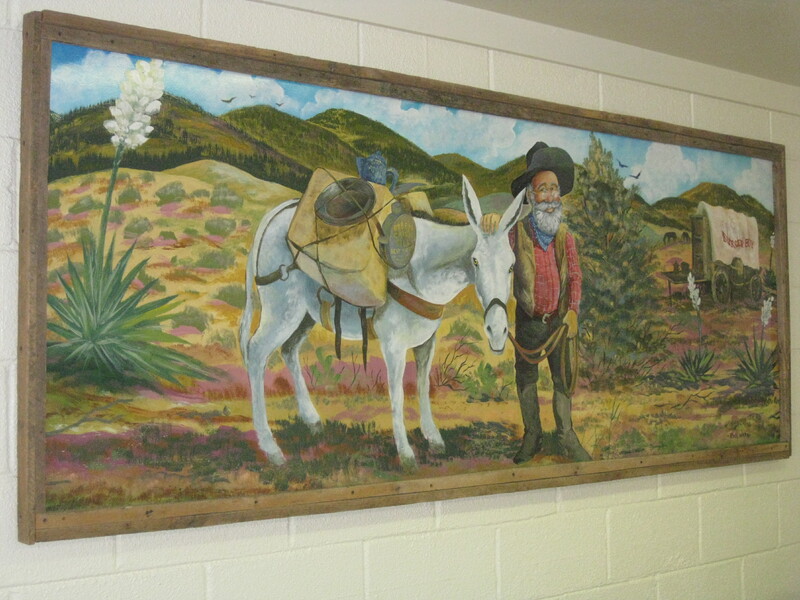 We loved this painting of Bill that was on the wall in the dining room. I don’t think we have ever felt this welcome at a table that wasn’t owned by our own family. As I was talking with Jordan, one of the ladies in the kitchen was sneaking cookies to the kids 🙂 as they sat at the counter like they were sitting at Grandma’s kitchen table. 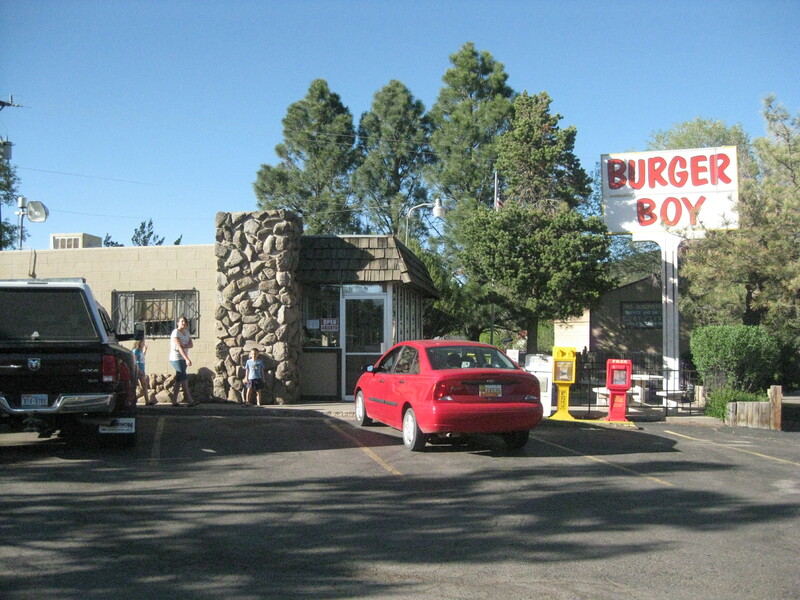 They are known for their green chili burger, but I’m known for my heat sensitive tongue. So, Jordan let us taste the green chili, which was a bit hot for me, and Grace and I settled on a swiss and mushroom with onion rings. Annalea had a BLT and Sy had his usual cheeseburger and fries. We also splurged on a few milkshakes…banana and chocolate. I have to say I am surprised that my 3 kids shared 2 milkshakes, they were SO good. And I ordered some sweet potato fries. Now, I think I ‘m a bit picky about my sweet potato fries….it’s not often I come across a place that cooks them just right….on the thin side and with just a sprinkle of salt to allow the natural sweetness of the sweet potato to shine. Well, the Burger Boy does them perfectly! I was a happy camper with a huge basket of them! We were also very happy with our burgers. I love that they season the burger so that it’s just bursting with flavor, instead of letting the toppings give the flavor. We were all very happy with our meal! We even got to chat a bit with Kathy, the owner. And she let us take a picture to put up on the blog! I am so happy that we were able to experience the family and food at this great establishment. We will be sure to return the next time we pass through! And since we are finding out that the best places to eat are heard of through word of mouth, please let us know if you know of any hidden gems! Previous PostLasagna CupsNext PostFinally…a day dedicated to ME!